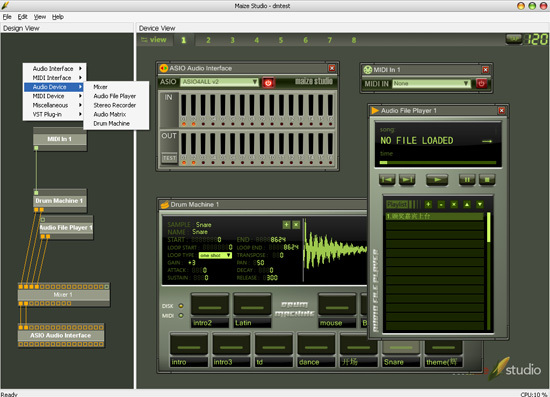 Maize Studio is a modular live audio environment. You can build your audio devices and connect them with virtual wires. 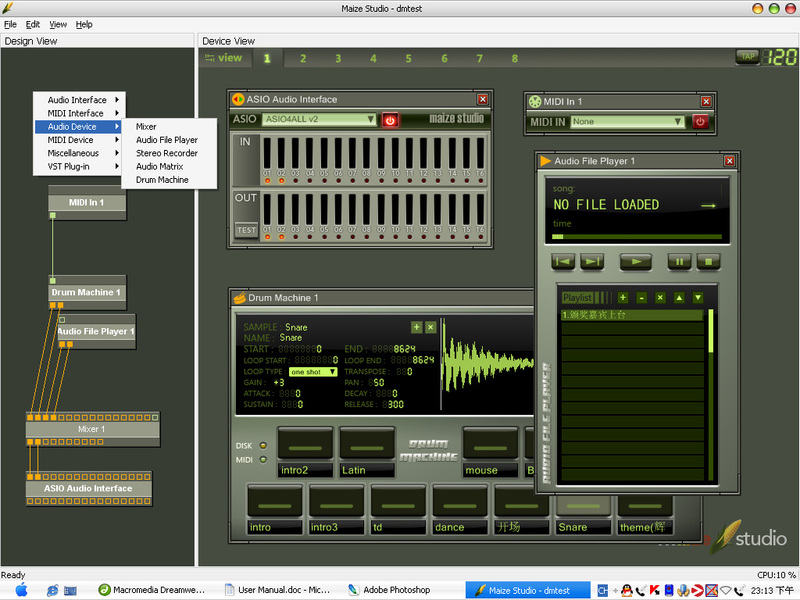 Maize Studio supports VST plug-in and provides many native devices. Based on the Device-Oriented design concept, every function is described as a device. With all kinds of devices, Maize Studio is able to fulfill your needs on stage or in studio with maximum flexibility.